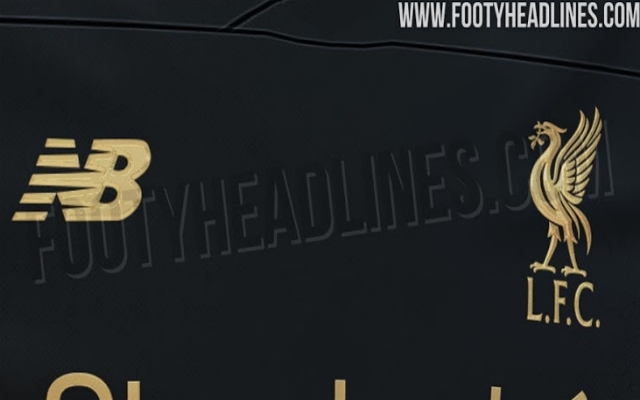 Yesterday, Footy Headlines broke the leak of our home kit for next season. Today, more leaks have sprung up as they have now reported the putative first-look of the goalkeeper home kit. It’s an all-black jersey, which is marked departure from the vibrant, yellow home kit Alisson Becker has been donning this season. In line with the purported 2019-20 home kit, this goalkeeper shirt has the same gold detail on all the club crest and of the sponsorship logos. Unlike, the red home kit, however, the Standard Chartered logo is all gold rather than the white featured on the outfield shirt. Equally, this goalkeepeing jersey sports a v-neck collar rather than the crew-neck construction of the other kit. 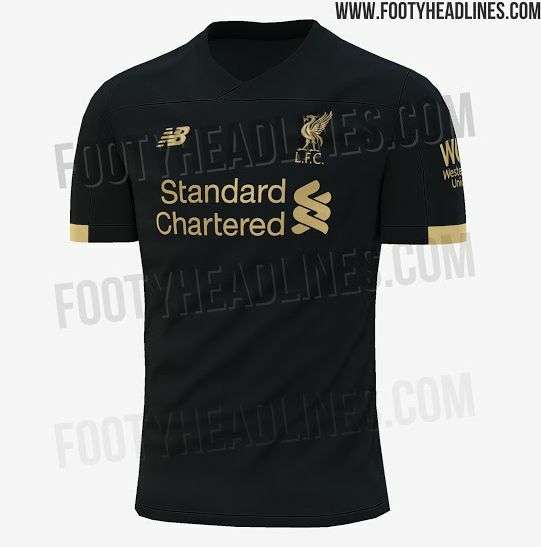 But, similar to the home kit’s all-red accoutrements, Footy Headlines suggest that the full goalkeeping kit will have black shorts and socks with gold logos. As we said yesterday, whatever the kit may look like we’ll likely have to wait until the end of the current season to see it on the pitch and verify if these rumoured shirt designs are legitimate or not. Footy Headlines, did however accurately leak the kit design for year’s design. This could be New Balance’s last shirt design for us before we switch suppliers to Nike or Adidas for the 2020-21 season.